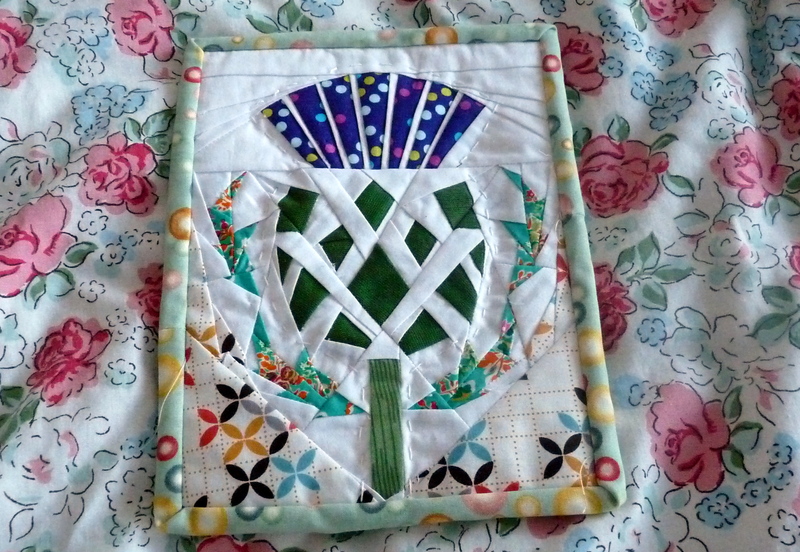 So you might have remembered a few months ago Kylie (alittlereddress) and myself decided to host an Outlander Craft themed swap as we both loved the books. 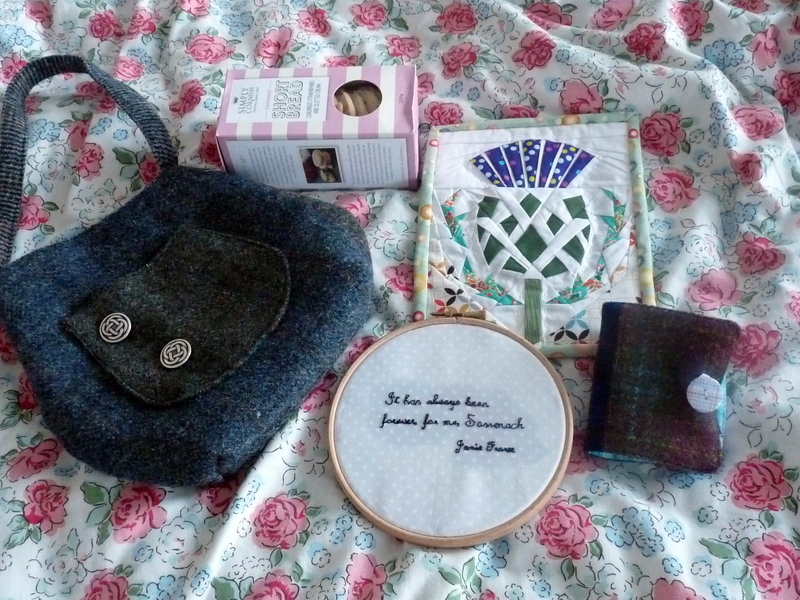 And after I managed to get it on Amazon Prime this month binged on the eps available so far (only two more left) I think I need the dvd in my life…..
A 60s inspired “Sophia Bag” pattern by Emma Brennan in Harris Tweed and with a beautiful blue plaid lining, scrappy tweed needle book, an embroidered Jamie Fraser quote 🙂 and what took the most time a paper pieced thistle. This thing is tiny measuring approx 8.5″ x 6.5″ it had 26 separate sections and some of those sections had over 20 pieces. Phew I’m getting tired just thinking about it now! WOW! The thistle is absolutely stunning!! What a lucky swap partner you have. I’ve seen a few of the fun projects from this swap over on Instagram. Great idea for a swap!